I took this picture on a road trip with a friend of mine a few years ago in 2006, with the Canon ESO 350D camera I was using at the time. When going through the photos from this trip, I initially marked this one as a reject. However, for some unknown reason, I decided not to delete it and this was one of the best decisions I ever made. Almost four years later, in January 2010, I found this photo in my Lightroom library and decided that it wasn’t a bad shot after all, it only needed a bit of cropping and a few adjustments. A few months after uploading it on Flickr, Google added a new feature for their search engine home page, background images. 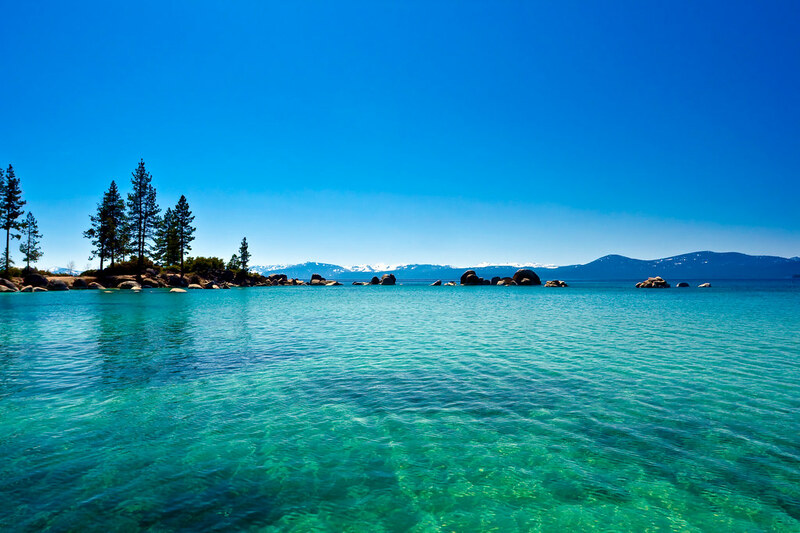 To accompany the launch, Google wanted a selection of photographs users could choose from if they did not want to upload their own and chose this photograph of Lake Tahoe (along with a few other pictures of mine.) In just a few months almost 8,000,000 visitors have clicked through the thumbnail on Google.com to the picture’s Picasa page. This experience has taught me a very important lesson: do not delete photographs that are not obviously terrible and do not hesitate to go through old series of pictures in case you missed a good one or changed your mind. I only regret I was not able to better redirect visitors to some of my other Picasa wallpapers or to my Flickr account. Clicks conversion is a lot harder than it seems! What about you? Have you ever taken a picture that you did not especially like but turned out to be a success? That’s an amazing photo, don’t know how you could consider it a reject. I went to Lake Tahoe earlier this year with some friends on a road trip too, there was this awesome Hawaiian place called freshies that served the best fish tacos ever. Could you post the original un-cropped/adjusted version for comparison? I rarely delete anything. Disk space is cheap, and I consider viewers of photos to be completely unpredictable — they like photos I hate, and hate photos I like. For me, it comes down to this: you can do photography to please other people or you can do photography to please yourself. When we’re lucky those goals overlap, but for a lot of viewers they won’t. At some point you have to pick some compromise between being popular and being true to yourself. I finally gave up, and preordered my first every personal camera (Nikon D7000). Waiting impatiently for it to arrive :) You are really my inspiration! That sure was a beautifull day !